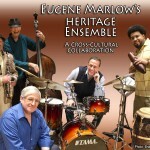 The Heritage Ensemble is an audience-interactive, contemporary world music quintet that records and performs Eugene Marlow’s original compositions and arrangements of Hebraic melodies in various jazz, Afro-Caribbean, Brazilian, and classical styles. 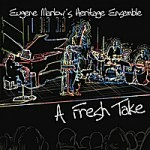 The New York City Jazz Record called The Heritage Ensemble “a cross-cultural collaboration that spins and grooves.” Arts Westchester wrote: “The Heritage Ensemble creates wonderful cultural connections through the universal language of music.” The Heritage Ensemble’s CDs have been mentioned and reviewed in over 50 print and online publications and heard on 180+ domestic and international radio stations. The concept for The Heritage Ensemble originated in the early 1980s when Eugene Marlow was asked to perform “L’Cha Dodi” at a Shabbaton (loosely translated to mean a Sabbatical). In the process of preparing this piece Dr. Marlow experimentally applied jazz chords underneath the melodic line. From this simple beginning has evolved a portfolio of arrangements, a concert performance quintet, and eight CDs: “Making the Music Our Own” (MEII Enterprises 2006), “Celebrations: Festive Melodies from the Hebraic Songbook” (MEII Enterprises 2010), “A Fresh Take” (MEII Enterprises 2011), “Mosaica” (MEII Enterprises 2014), “Hallelujah: Jazzy & Classical Piano Variations from the Hebraic Songbook” (MEII Enterprises 2015), “Changes” (MEII Enterprises 2015), “Obrigado Brasil!“–a nine track CD of original sambas and bossa novas–(MEII Enterprises 2016), and “A Not So Silent Night” (MEII Enterprises 2016). 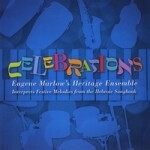 All these CDs are available at cdbaby.com/artist/eugenemarlow. 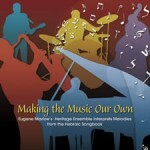 The Heritage Ensemble is a reflection of the evolution of “world of music” in the 20th and early 21st century. 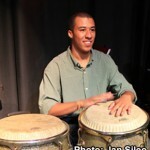 The quintet’s musicians come from various cultural backgrounds. Multi-Grammy nominee drummer Bobby Sanabria and virtuoso conguero Matthew Gonzalez are Nuyoricans: New Yorkers of Puerto Rican heritage. 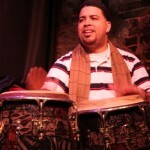 Their backgrounds are rich in West-African, Caribbean, and Afro-Cuban cultures. NEA Performance Grantee saxophonist Michael Hashim is of Lebanese descent. His middle-Eastern heritage together with a broad jazz background fits well with the quintet’s musical approach. 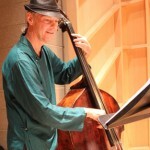 Phi Beta Kappa bassist Frank Wagner’s European background adds a certain old-world stability to the group’s performances. Dr. Marlow’s family background is Russian, German, Polish, and British. He holds degrees in classical and jazz composition. 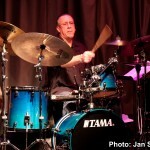 He is a former member of the BMI Jazz Composers Workshop. 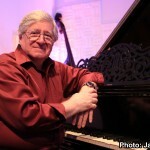 Overall, he has composed 250+ jazz and classical compositions for solo instruments, chamber ensemble, and big band. 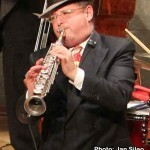 Three of his charts for big band are on three Grammy-nominated albums. This quintet’s collective cultural mixture informs a unique musical eclecticism and expresses its multicultural philosophy. Read “Making the Music Our Own”: The Adaptability of Jewish Liturgical and Folk Music. For Booking Information Contact Eugene Marlow.